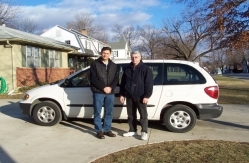 Ignacio Rovirosa and his family used one of BMTM's 15 Passenger vans for two weeks in July of 2007, before leaving to go to their mission field in the Caribbeans. 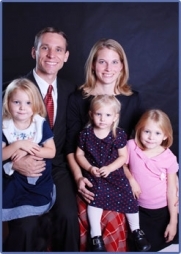 Rovirosa's are supported through World Wide New Testament Baptist Missions in Kings Mountain, North Carolina. They are sent out of Emmanuel Baptist Church in Kings Mountain, NC under Pastor Charles Surrett. Steve and Sandy Aholt, missionaries to Goroka, Papau New Guinea came back for an emergency furlough in September of 2007 for Steve's father who went home to be with the Lord. 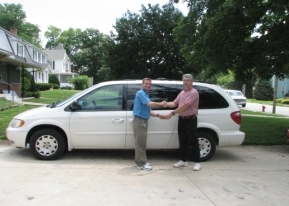 The Aholt's were able to use this 2002 Chrysler Town & Country for about 3 weeks. The Aholts are supported through ABWE out of Harrisburg, PA. 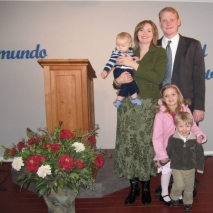 The Jeff Bush Family, Missionaries to Argentina was able to use this 2002 Chrysler Town & Country while back on furlough from July 3, 2007 to March 29, 2008. The Bush family drove a total of 22,277 miles while on furlough. Bush is supported through Macedonia World Baptist Missions out of Braselton, GA. His home church is Whitfield Baptist Church in Dalton, GA under Pastor Wayne Cofield. 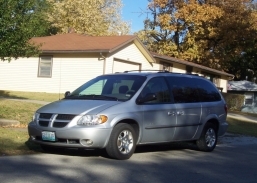 The Peter Duke Family was able to use this 2001 Dodge Caravan on November 4, 2007 for a short one day trip of 193 miles. 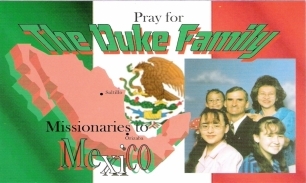 The Duke's are missionary's to Mexico. They are sent out of St. Amant Baptist Church, St. Amant, LA under Pastor Melvin J.Meister Jr.
Aubrey Mapp Family on the left picked up a vehicle on Jan. 1, 2008. Mapp is a missionary to Ukraine and is supported through Antioch New Testament Missions out of Elkton, MD. His home church is Peoples Baptist Church of Chesapeake, VA under Pastor Micheal Wetherington. 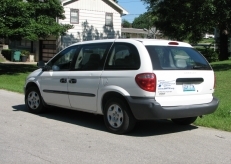 They were able to use this 2003 Dodge Caravan until February 12, 2008. The Mapps traveled 5,216 miles. 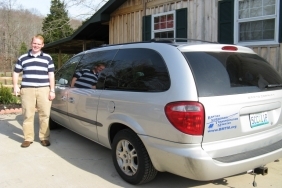 The Jason Holt,Family on the left traveled 7,452 miles in this 2001 Dodge Caravan Sport from February 5th to March 18th, 2008. Jason and his family are supported through Macedonia World Baptist Missions out of Braselton, GA. His home church is Vision Baptist Church, Alpharetta, GA under Pastor Austin Gardner. 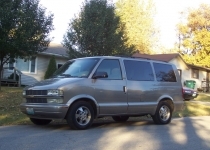 The Dan Bennett Family had this 2001 Chevy Astro van from November 15th, 2007 to March 20th, 2008 traveling 10,251 miles. The Bennett's, missionaries to Brazil are supported through BIMI out of Chattanooga, TN. Their home church is Southside Baptist Church, Rock Hill, SC under Dr. Kenneth Walters. 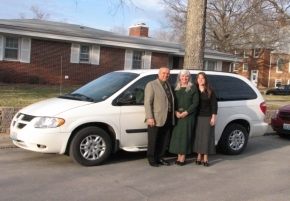 The Travis Lewis Family pictured on the left, Missionaries to the Philippines had this 1999 Ford 15 Passenger van traveling 46,802 miles. 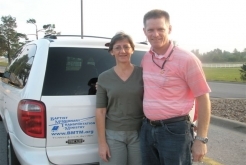 Lewis was the first missionary to use a BMTM vehicle while his family was back on furlough from May 18th, 2007 to April 1st, 2008. The Lewis' are supported through Word for the World Baptist Ministries out of Rossville, GA and their home church is Capitol City Baptist Church in Austin, TX under Pastor Hank Thompson. 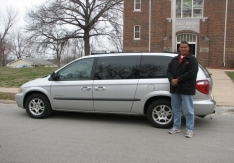 Osmin Gutierrez picked up the 2001 Dodge Caravan on March 25th, 2008 and was on furlough until May 15th, 2008 traveling 10,068 miles. The Gutierrez Family are missionaries to Honduras, supported through FBMI ( Fundamental Baptist Missions International) out of Hammond, IN. Their home church is First Baptist Church of Hammond, in Hammond, IN under Dr. Jack Schaap. Albert & Martha Mular along with their daughter Sarah, used this 2005 Dodge Caravan from March 9th, 2008 through June 3rd, 2008. 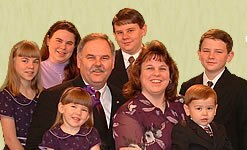 The Mulars are missionaries to Argentina, supported through BEMA ( Baptist Evangelistic Missionary Association ) out of Columbus, OH. Their home church is Keystone Baptist Church in Washington, PA. They traveled 7036 miles. 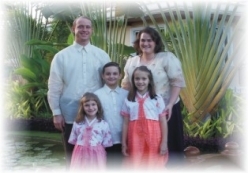 Bob and Polly Whitmore are missionaries to the Federated States of Micronesia (Yap). 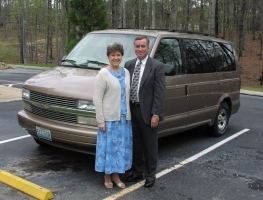 The Whitmore's were the first missionaries to pick up one of BMTM's vans (the 2001 Chevy Astro) from another missionary family who just finished using it. They picked up the van at Southside Baptist Church, in Rock Hills, SC. They were on furlough from the end of March, 2008 until June 24th, 2008 traveling 7,430 miles. The Whitmore's are supported through WWNTBM (World Wide New Testament Baptist Missions) out of Kings Mountain, NC. Their home church, Faith Baptist Church under Dr. John Vaughn, is in Taylors, SC. We want to say a big Thank you to Pastor Kenneth Walters of Southside Baptist Church, for helping in the transfer of this missionary van. Do YOU know where your future HOME is? 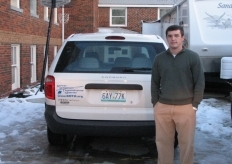 Jeremy Hall was able to use one of BMTM's vans from October 10, 2007 thru December 18 of 2007. Hall drove a total of 13,414 miles. Hall is a missionary to Peru, supported through Macedonia World Baptist Missions out of Braselton, GA. His home church is Whitfield Baptist Church in Dalton, GA under Pastor Wayne Cofield.